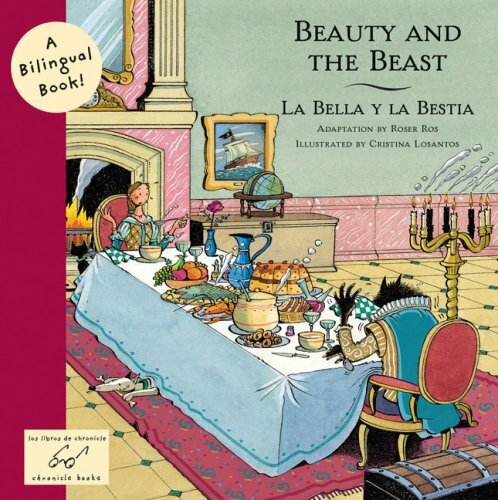 These three classics are told simultaneously in Spanish, giving the reader a good reason to revisit these lovely fairy tales. Review: In this version of the classic damsel in distress story, Beauty must make up for her father’s transgression and is held captive by the Beast. Despite first impressions, he treats Beauty kindly and eventually she falls in love with him. You can expect a simple story with an ends-justify-the-means ending. The story traces back to France in the 1700s. It has been interpreted on stage and on screen many times–we’ve all seen the Disney version but there have been film versions since the 1940s. This fairy tale’s long history is a testament to the effect it has had on children–and grownups–for ages. 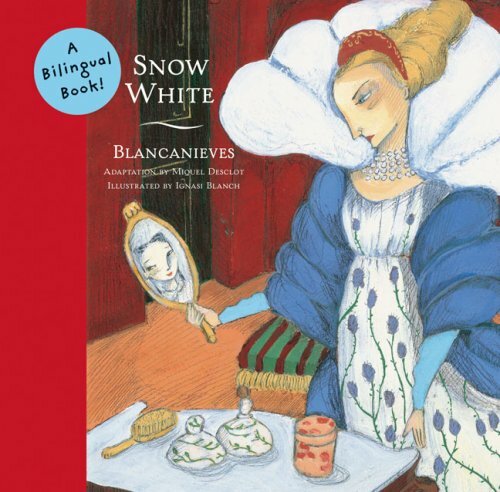 Review: In this version of the classic fairy tale, Snow White flees her father’s palace after she hears that her evil stepmother is plotting to put an end to her. She takes refuge with the seven dwarfs but is quickly found by her stepmother. This version of Snow White has a particularly mean stepmother and a completely absent father. You can expect a simple tale with a happy ending but there are some scenes that may be a little hard to explain to younger readers–like why the stepmother wants to poison Snow White or why Snow White lays comatose in a glass casket. The story dates back to the 1800s but there have been parallels to historical figures reaching back to the 1500s. Review: This version tells the classic tale of a childless couple that desperately longed to have a baby. They lived next door to a garden owned by a witch. When the wife has cravings for some radishes in the witch’s garden, the husband steals them for her. He gets caught by the witch who demands he give up his firstborn on pain of death. Thinking they couldn’t ever have children, the husband agrees. But then, as if by magic, his wife gets pregnant and when the baby is born the witch comes to collect. You can expect a complicated tale of banishment and betrayal and of love lost and then found. This fairy tale is best suited for older children, who will be more able to understand the vagaries of love and the whims of destiny. Rapunzel was first published in 1812 by the Brothers Grimm. Link: Reimagining some all-time favorites, first edition.